After taking 2009 off to restructure, the nonprofit’s annual Christmas concert and CD returns with a new commitment to year-round fundraising. The 12 bands featured in the organization’s seventh volume of Christmas tunes takes the stage Saturday at Imperial Theatre in downtown Augusta. It’s the big annual bash that, since 2001, has raised money for the Medical College of Georgia’s Children’s Medical Center. But it’s not the first concert of the year for 12 Bands, which has already held shows in Atlanta and Charlotte, N.C., and brought Charlie Daniels to Augusta during the annual Westobou Festival. The 12 Bands of Christmas started in 2001, when 12 local artists took part in a holiday concert at the Imperial. In 2003, a recorded CD was added. In 2007, 12 Bands expanded and encouraged local artists to pair up with musicians outside Augusta, including Don Dixon, Shawn Mullins and Jason Isbell. Between 2003 and 2008, 12 Bands estimates it raised more than $120,000, with a portion of the money benefiting the Medical College of Georgia’s Tamara Cundey Dunstan Memorial Fund, in honor of the pediatric oncology nurse. “It snowballed. We really produced some great albums those years,” Stevenson said. Things changed in 2009, when Coco Rubio, one of 12 Bands’ organizers, stepped away. The group released a best-of CD and a smaller show was held at Fort Discovery. In 2010, organizers for 12 Bands, which received status as a 501(c)(3) organization, brought back the concert and the CD, plus a slew of other events along with its renewed focus. In March, Pat Green, Patrick Davis, Mark Bryan from Hootie & the Blowfish and Ed Roland from Collective Soul played an acoustic concert at Enterprise Mill. In July, a celebrity softball game and concert at Lake Olmstead Stadium featured Tim Brantley and My Instant Lunch. This year, 12 Bands also partnered with Press On to produce a concert series featuring Tony McManus in Augusta, Atlanta and Charlotte. Together, the organizations raised $100,000 in 2010, Stevenson said. 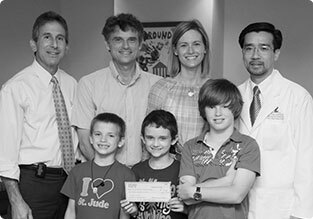 Money raised by 12 Bands will benefit national research, local hospital funds and direct, immediate patient needs. “Ultimately, we’ll come up with a grant process and people will be able to apply,” Stevenson said. 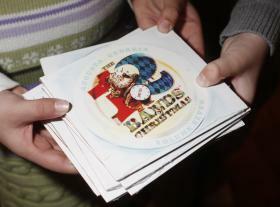 For the first time, a 12 Bands of Christmas CD was released outside Augusta. Florida-based Rock by the Sea released its first volume of Christmas music, which included a song from Sister Hazel. “It’s a monumental step for us,” Stevenson said. The board of 12 Bands was inspired to go “all out” by the courage of 8-year-old Brennan Simkins, an Augusta boy with acute myeloid leukemia, Stevenson said. “He battles this stuff every day. It’s not enough for us to do something about it just once a year,” Stevenson said. 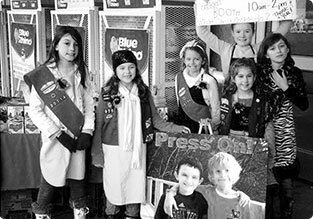 In January, 12 Bands launches its 12 Bands-12 Kids campaign. Each month, a musician will be paired with a child fighting cancer. 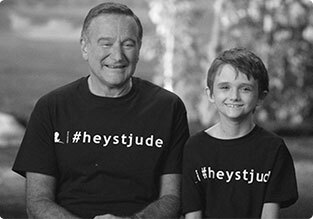 The artists will use their Web sites and social media to share that child’s story, raise awareness of pediatric cancer and provide links to donate. The campaign starts with Collective Soul in January, the Zac Brown Band in February and Charlie Daniels Band in March. Glenn Frey will close out the campaign next December. Totally, the most important factor that is considered while purchasing medicaments from the Web is to make a best choice. To purchase medicaments online from a privileged web-site is safe. Other medicaments are used to treat complaints such as hair loss. What about buy propecia online and alopecia? Very likely every adult has heard about buy propecia. (Read more finasteride online). A extended medicinal condition present is hair loss. What medicine does treat alopecia? Most of patients using this medicine mostly do not have any side effects to Finasteride. Even if this remedy is not for use in women, it is not known whether this generic could injury a nursing baby.